It’s that time of the year when people play pranks on each other and trouble them to celebrate April Fool’s Day. 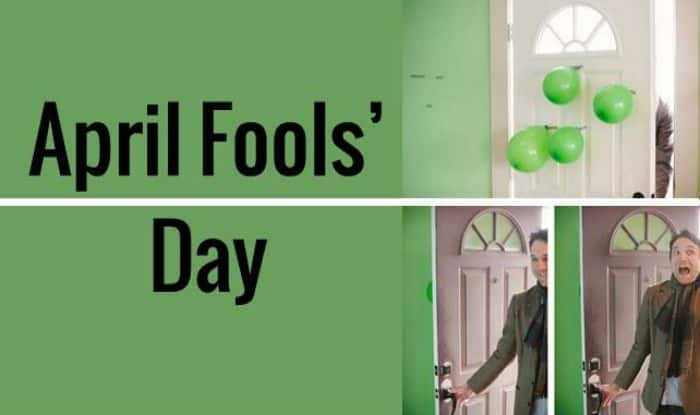 Also known as All Fool’s Day, is celebrated on April 1 worldwide. According to History.com, some historians speculate that April Fools’ Day dates back to 1582, when France switched from the Julian calendar to the Gregorian calendar, as called for by the Council of Trent in 1563. It is believed that Pope Gregory XIII was the one to be blamed. He ruled the new calendar to start from January 1, instead of the previous celebration of the new year at the end of March or April 1. Though, the change in the annual calendar was brought into practice by France. But across Europe, the people continued to follow the Julian calendar. And those who failed to register the use of new date and ended up celebrating New Year in April has been marked as ‘Fools’. Hence, a particular day for fools came into being. As per History.com, the forgetful ones who celebrated New Year on April 1 were mocked on the day and had paper fish stuck on their backs, indicating that they were fools or easily hooked. Notable April fools ideas probably come from newscasters and newspapers. BBC once tricked the whole nation into believing, that spaghetti grows on trees in Switzerland. -Make people think their phone is broken. -Plant a garden in a keyboard.